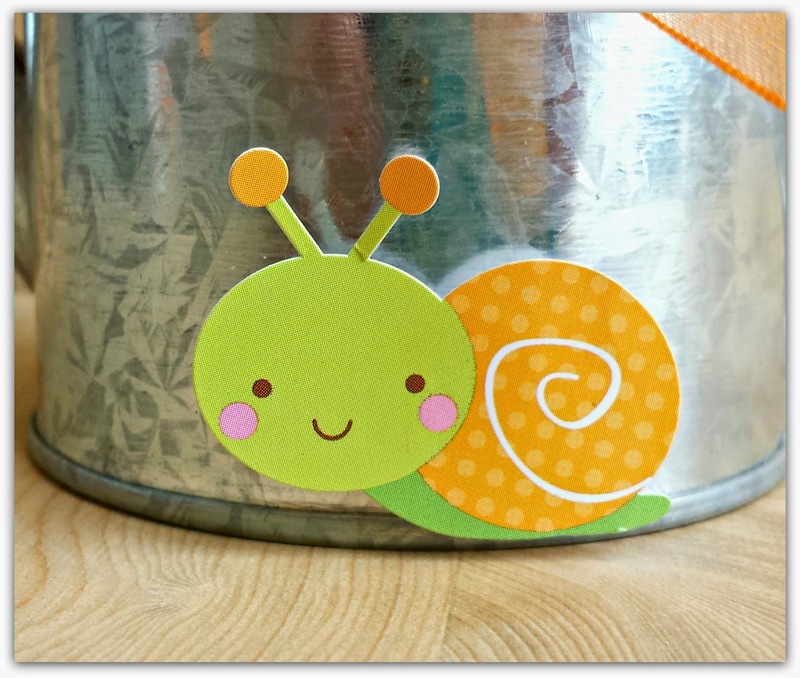 Hi there Doodlebug friends - its Tya here to share with you my Hello Sunshine project. Its been kind of cloudy and gloomy here around my neck of the woods so I though I would cheer up my space with a couple of bright and cheery home decor projects featuring this darling line. First up is this adorable watering can that I found at my local craft store. 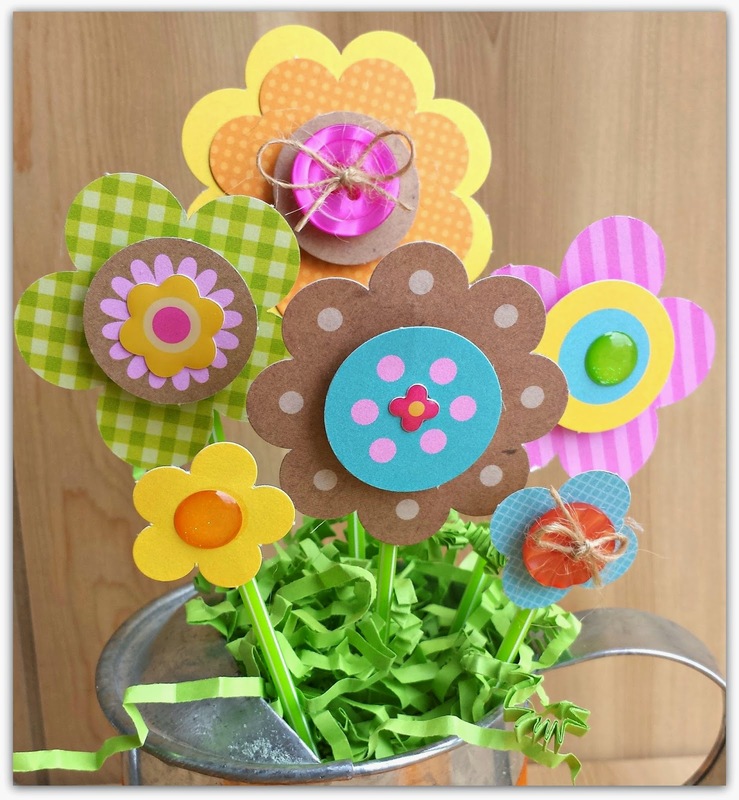 It's a perfect container for all the different sizes and shapes of flowers that come in the Spring Flowers craft kit. I added some glitter sprinkles, some buttons and some flower sprinkle shapes for fun. And how cute is Mr. Snail here along the bottom? 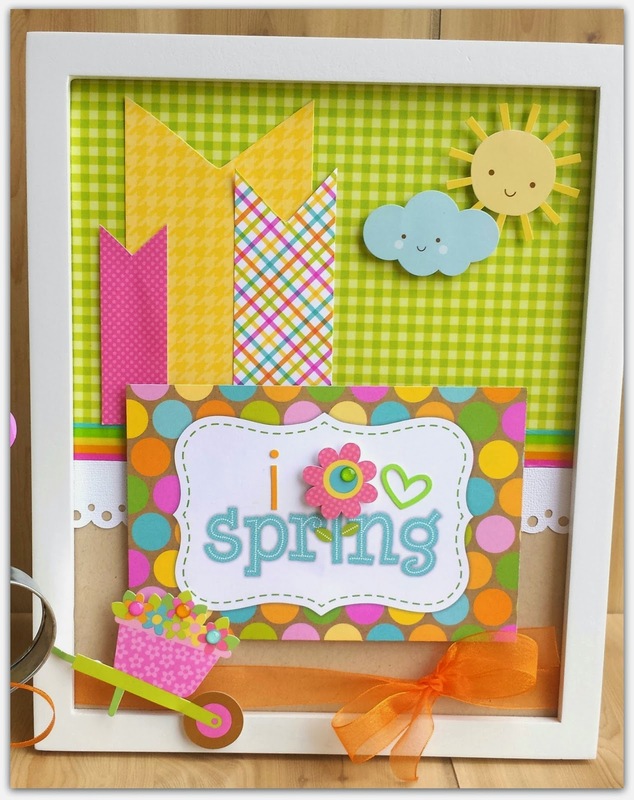 My next project is just a simple frame that I used some of the adorable pattern papers for the background and banners and the sun and cloud stickers with the happy, smiling faces -they add just the right touch! One of my favorite pieces of this line is the rainbow washi tape - I added a strip along the middle of the page with a scallop border punch cardstock strip as well. Hopefully I have inspired you to use your paper crafting supplies to decorate your home and add a splash of Doodlebug color and happiness to your home! Happy Crafting everyone and thanks for stopping by! Just adorable Tya! 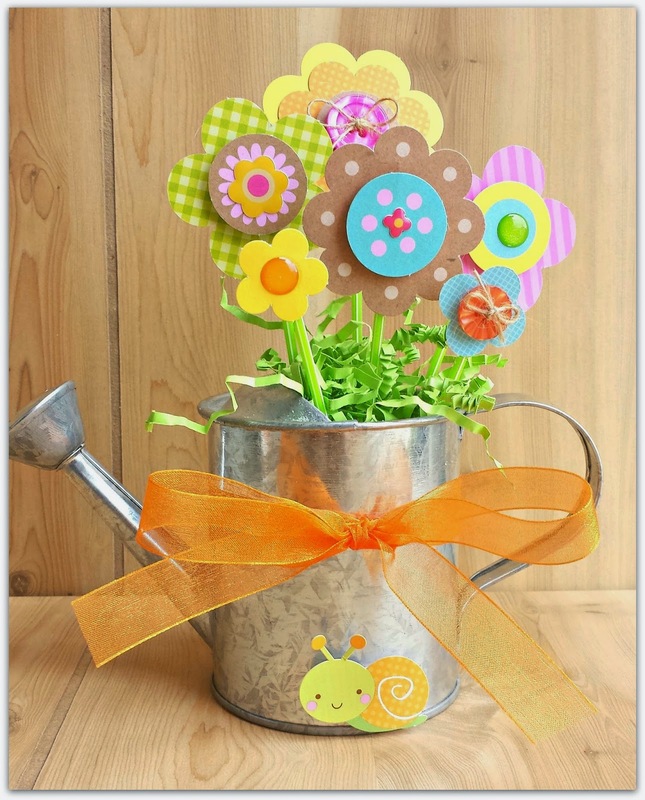 I especially love the watering can and flowers :) I'm ready for spring!! 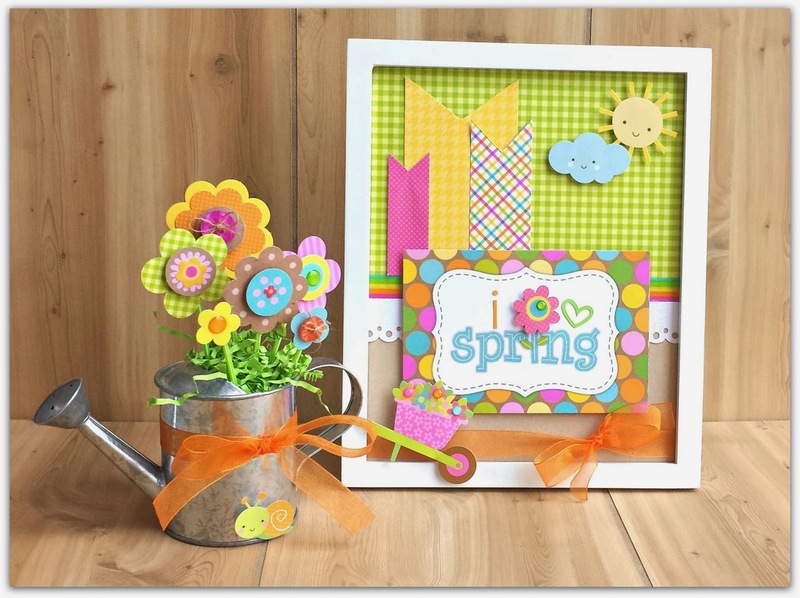 ADORABLE watering can and SUPER CUTE frame Tya!!! So cute, love your proyect, I love shadow boxes and yours is so sweet!!! These make me so happy Tya!!! So cute! Love those flowers! OH WOW & OMG definitely 2 outstanding super clever and creative Home Deco pieces. Definitely guaranteed to give a bright sunshinny day. I love what you did and how you did it!! You really outdid yourself. Gosh Darn you're talented WOW!! YOU so ROCK!! AMAZING AND ULTRA CUTE!!!! This is such a fun idea and such very cute home decor!! I love the idea of those flowers on pixies in the watering can!! 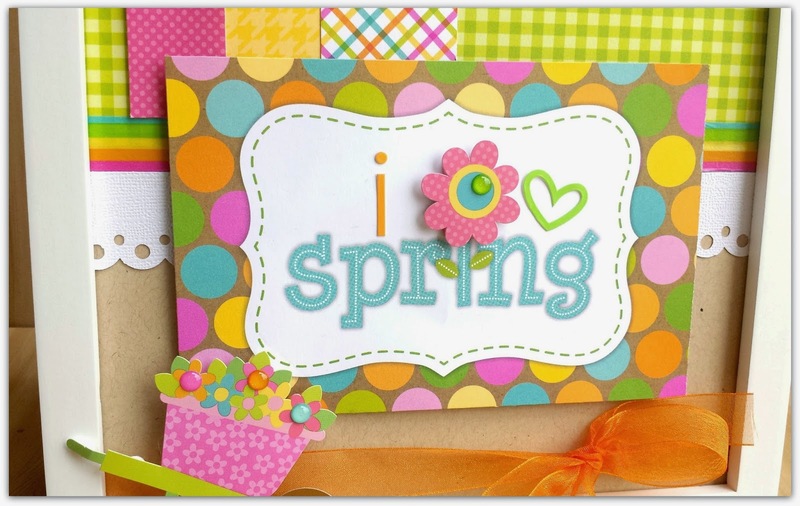 And the framed art just make me smile and feel like Spring!! Awesomely done - both projects!! !